In December 2017 Lorraine Harris was appointed as Assistant Coroner for Kingston Upon Hull and the East Riding of Yorkshire. As well as the additional insight one gains in such a role, Lorraine holds one of the only qualifications to encompass coronial law. 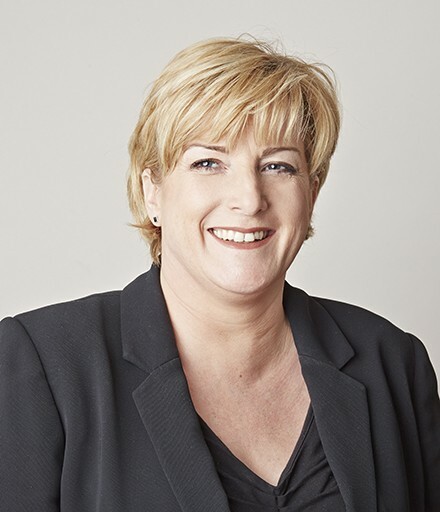 As such Lorraine has a uniquely rounded view of the role of the coroner – not only inquest law and procedures but also coroners’ wider duties involving non-suspicious deaths and those occurring in other jurisdictions. She achieved National Association of Funeral Directors Diploma, a professional qualification encompassing all aspects of funeral directing and coroner’s procedures. This assists in both her Assistant Coroner role but also on advising families and interested parties in the coronial process. Lorraine represents a range of interested parties in all types of inquest. Her years of experience in investigating death and dealing with the coroner’s office sets her apart from others practising in these areas. Her insight and knowledge in policing gives Lorraine the ability to represent those facing procedures bought by the police. Lorraine has knowledge of court orders, allegations concerning dangerous dogs including appeals, confiscation and disciplinary matters. Lorraine has undertaken a secondment with Humberside Police Legal Department advising on a variety of policing matters including professional standards, police rights and court orders. She has represented various police forces in a variety of applications including confiscation, dangerous dog procedures and obtaining court orders for harm prevention and house closures. Lorraine was appointed as independent counsel and undertaken legal professional privilege work in two very high profile matters involving allegations made by Her Majesty’s Customs and Excise and South Yorkshire Police. Both of these matters attracted a high volume of media interest. Lorraine also has experience with confiscation, trading standards, taxi licencing and food standards. Inquest – DP (Doncaster Coroners Court) – Represented South Yorkshire Police. Police had been called to an attempt suicide 2 days prior and were recalled to see DP the night before he died. The issue of police powers to detain DP under Mental Health Act 1988 and whether hospital trust should have sectioned him at time of attempt suicide. The findings of fact and conclusions were not critical of the actions of the police. Inquest – CC (Scunthorpe Coroners Court) – Represented LH, a Paramedic called to CC following a fall but he refused medical treatment. CC died later that day. The issue of whether CC had capacity to refuse treatment following fall, actions of paramedics. The findings of fact and conclusions were not critical of the actions of LH. Inquest – CT (Sheffield Coroners Court) – Represented South Yorkshire Police. Deceased was a serving police officer who was off work at time of incident. Issue of the conduct of police as an employer dealing with officer during his illness. The findings of fact and conclusions were not critical of the actions of the police. Inquest – MB (Lincoln Coroners Court) – Represented ML, Bus Driver. MB was a teacher who had just left school and was cycling on a marked cycle path on the pavement but then collided at junction with bus. Issues regarding road traffic law. The findings of fact and conclusions were not critical of the actions of ML. Inquest – HS (Bradford Coroners Court) –Represented JB, member of the Sikh Temple. HS had mental health care issues with amphetamine in her system assaulted an elderly lady outside the Sikh temple. HS then went into the temple for a meal. Her actions were highlighted to representatives at the temple who approached her whereby she became verbally abusive and threw the mental food tray at JB before trying to attack him. HS was restrained and the police were called. Issues of postural asphyxia, lawful restraint, knowledge of same. The findings of fact and conclusions were not critical of the actions of the police. Inquest – DS – Represented Mr SP (Driver) and the interests of the insurance company. DS was in drink and fell into the road, into the path of an oncoming taxi.The findings of fact and conclusions were not critical of the actions of DS. Inquest – Mr and Mrs H (Hull Coroners Court) – Represented the insurance company of the vehicle being driven by Mr H. Mr H suffered a medical incident while driving. He collided with oncoming traffic. Both he and his wife died from injuries sustained in the collision. Noting brief only. Inquest – Mr HO (Bradford Coroners Court) – Represented taxi driver. Complexity of medical evidence. 12 medical opinions were given with regard to the incident. Inquest – AS (Leicester Coroners Court) – Represented NJ a nurse who treated AS after a fall. Inquest found that capable of movement after fall. The findings of fact and conclusions were not critical of the actions of NJ. Inquest – FC (Stockport Coroners Court) – Represented MC a carer who looked after FC at the home where he lived. Issue re actions of staff when FC fell ill. The findings of fact and conclusions were not critical of the actions of FC. Secondment for Humberside Police – Seconded to Humberside Police Legal Services. During this time I prepared and attended court for a variety of applications including sexual harm prevention orders, domestic violence prevention orders, breach of orders and dangerous dog applications. Carried out research and advice on a variety of topics from the powers of police community support officers to advice on the procedure for police vehicles (marked and unmarked) receiving traffic offence tickets. I was also responsible for dealing with discipline hearings. Humberside Police Re Private Address (Doncaster Magistrates Court) – Represented South Yorkshire Police in their first ever application to close a house used in crime. The house was used continually for drug dealing which was adversely affecting the neighbourhood. The application was granted. Humberside Police v JB and EJ (Hull Magistrates Court) -Representing Humberside Police in an application under Dangerous Dogs Act. Ownership of dog and fit and proper person test for any contingency order an issue . South Yorkshire Police v MS – Representing South Yorkshire Police. Domestic Violence Protection Order to exclude MS from the marital home for a period of 1 month in order to allow his wife to liaise with domestic violence help groups. Issues of Law: Police powers, human rights. Humberside Police v PG – Representing Humberside Police. This was seizure of cash under the Proceeds of Crime Act. This was the highest cash seizure under this section of the act that Humberside Police had prosecuted. PG initially arrested for Murder, eventually convicted of manslaughter. A search of his premises revealed a large amount of cash and valuable items which were not linked with the crime but it was submitted were from crime. I dealt with this matter in the Magistrates Court and then PG appealed and I dealt with the matter in Crown Court. UAK v Stockton Council (Teesside Magistrates Court) -Represented company. Application by authorities to remove his food licence. SA v Rotherham Council (Rotherham Magistrates Court) – Represented SA who had his taxi licence removed following Rotherham Council’s appointment of an ombudsman. All taxi licence holders were reviewed and anyone with any criminal record had their licence revoked, fit and proper person test applied. R v MS (Leeds Magistrates Court) – Represented Specialist Fraud Division. Listed for trial regarding selling of produce that fell below standards. Matter able to resolve following extensive negotiations and MS pleaded guilty. Issues of law: EU regulations, food standards. West Yorkshire Trading Standards v AP – Represented AP who was charged on a 20 count indictment. AP company had carried out sub-standard work and not offered the relevant guarantees. Pleas accepted to 12 of the matters, it was agreed that this was shoddy workmanship and poor management rather than actively targeting vulnerable people. Introduction to Inquests Seminar – a Resounding Success! Does AYBS cue the introduction of a fast track approach for the Coroner? Lorraine Harris looks at the recent case of Adath Yisroel Burial Society (AYBS) and its impact on how the Coroner should approach requests for the expedition of cases.